Ben Currie has been through some dark moments during the last 12 months, but he is now ready to kick on for Warrington in 2019. 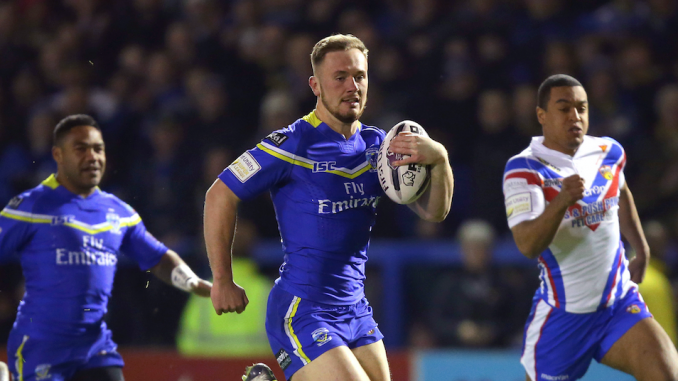 The England international made a surprise return to action on Thursday as he helped the Wolves clinch a 24-10 win over Castleford Tigers at the Halliwell Jones Stadium. Currie played the full 80 minutes in the back-row after recovering from a second anterior cruciate knee ligament injury in as many years. On his return, Currie said: “I wasn’t nervous about my knee, I’m confident with it but I struggle to eat before the game and the build-up was pretty nerve-racking but once the whistle goes and you touch the ball then all of that goes away. “It’s been a terrible 11 months. There have been some long, tough old days in the gym while the others are out on the field. “I’ve coped with it okay actually because I’ve had a strong base of friends and family around me that have helped massively. There have been some dark days along the way but nights like this pay off. “Thoughts go through your head like ‘where do I go from here?’ but I handled it okay in the end. At the time of writing on Friday morning, Warrington currently sit joint top of the Super League table alongside Castleford Tigers and St Helens.